Welcome to the latest edition of our exclusive Collector’s World series. 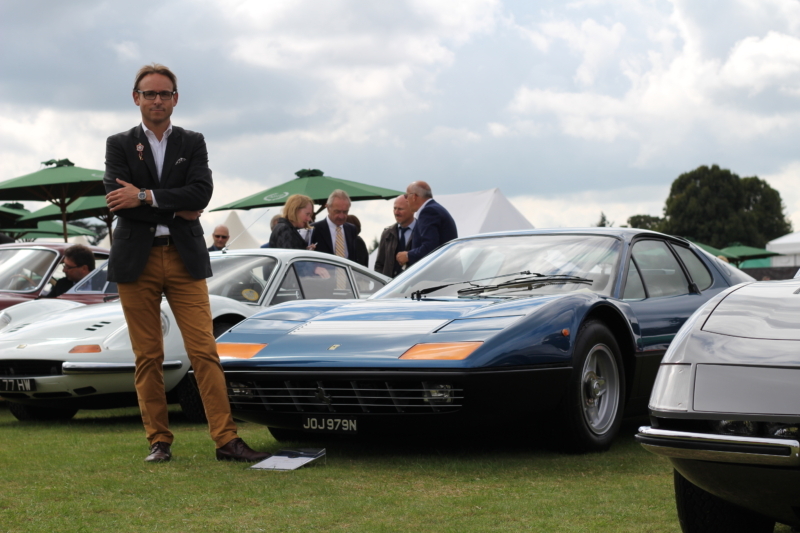 Our next collector is Paul Maudsley, International Watch Specialist, Director at Phillips. Paul has over 17-years of experience of watch auctions having transformed the UK watches auction market and handled over 30,000 watches in his career to date. A collector of watches from an early age, Paul has developed a love and broad knowledge of horology across all areas of watches. 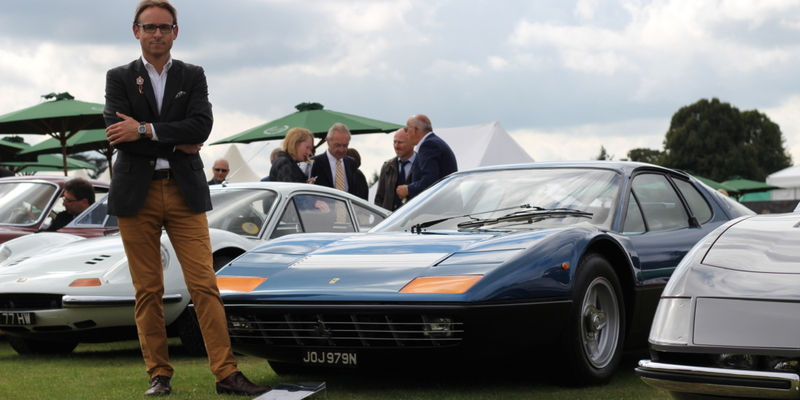 We bring you further insight into what drives his passion for collecting. PM: My Interest in watches originates from when I was a young boy, 11 years old to be precise; it was then that I was given a 1940s wristwatch. From that moment onwards I was hooked with mechanical objects, and in particular watches. 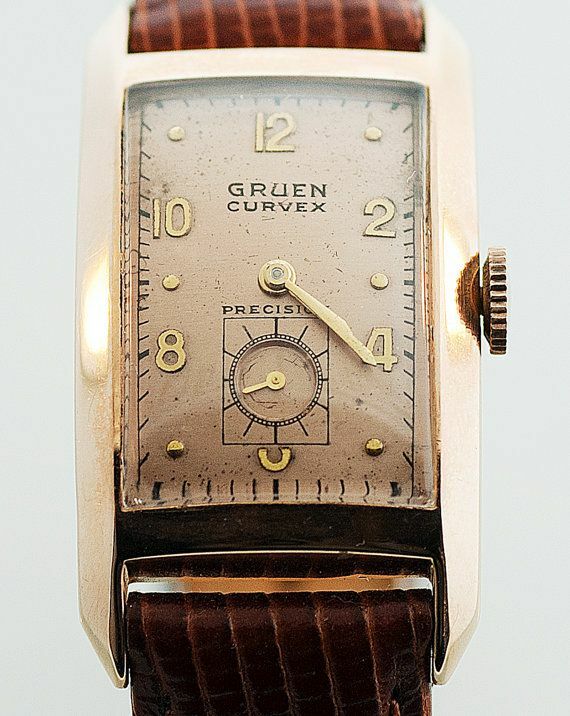 PM: The first watch I owned and still own for that matter was a Gruen Curvex. As mentioned above it was a gift from my grandmother who was also given it in 1943 from an American Pilot. 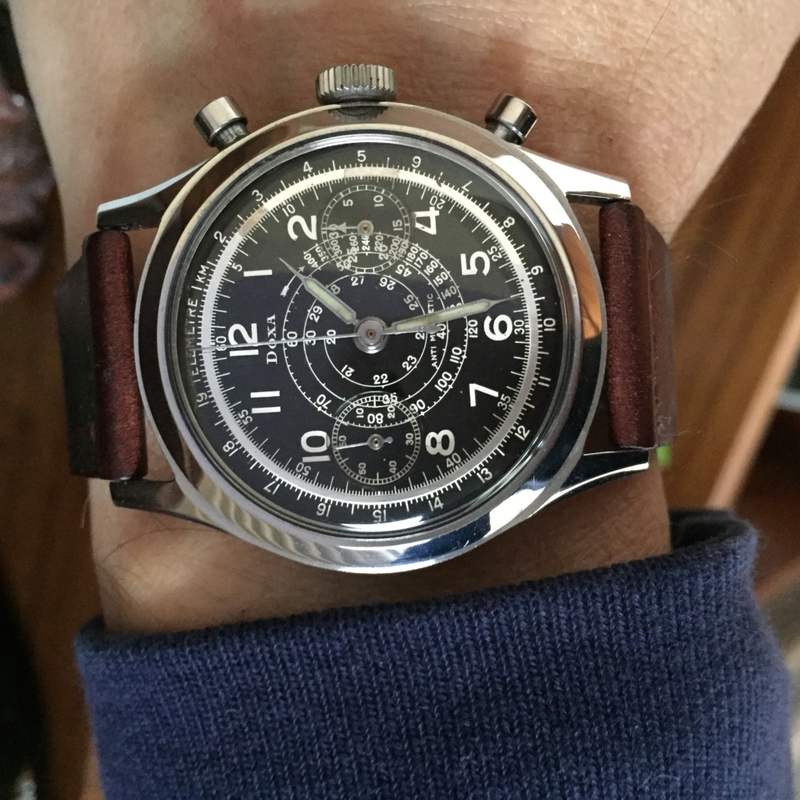 I loved the central seconds chapter of the dial and tonneau style curved case and was such a rare and precious thing to own, when most of my school friends were wearing Timex. PM: For me personally it’s about the visual joy they bring on a daily basis. Some say “I just look at my phone for the time”, well I prefer looking at a chronograph or a moon phase watch, far more visual stimulation. PM: I’ve collected many things over the years but for me nothing captures the heart and imagination in terms of history, provenance and variety of design, as does the collecting of wristwatches. PM: No, I wouldn’t say there is anything to dislike about collecting. 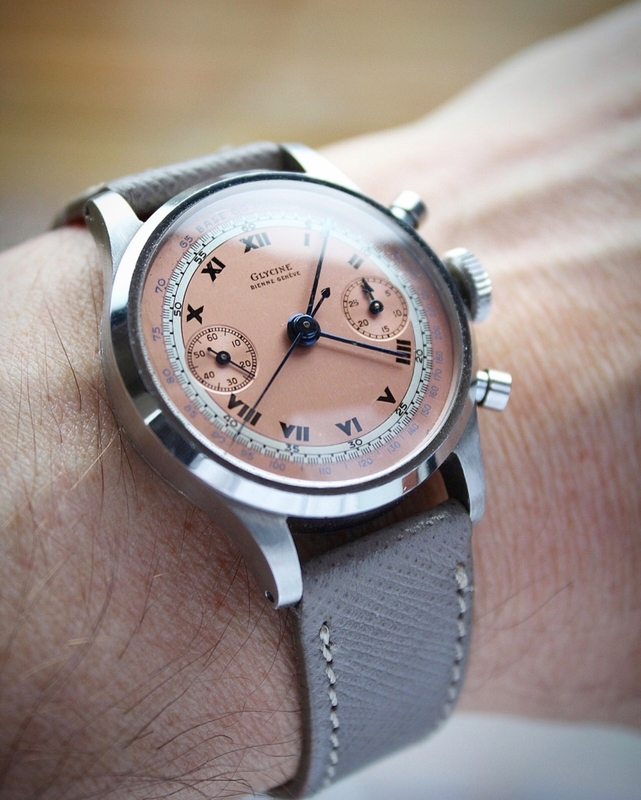 The watch collector groups are a very eclectic mix of people but, they all share common ground. 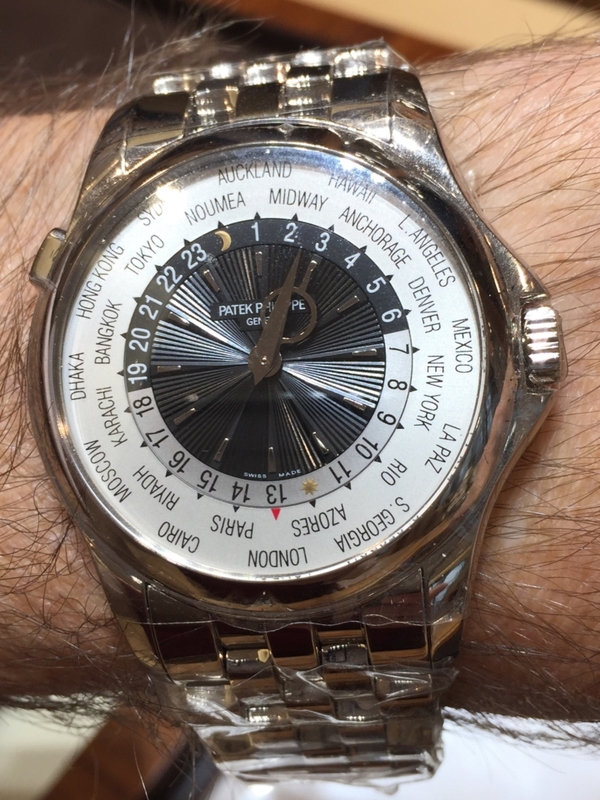 There is a great passion for watches, whether it’s for Patek Philippe, Rolex, Vacheron Constantin or Seiko. There’s something for everyone. PM: Choosing a favourite watch is always a hard one as I have quite a few that I really do love. 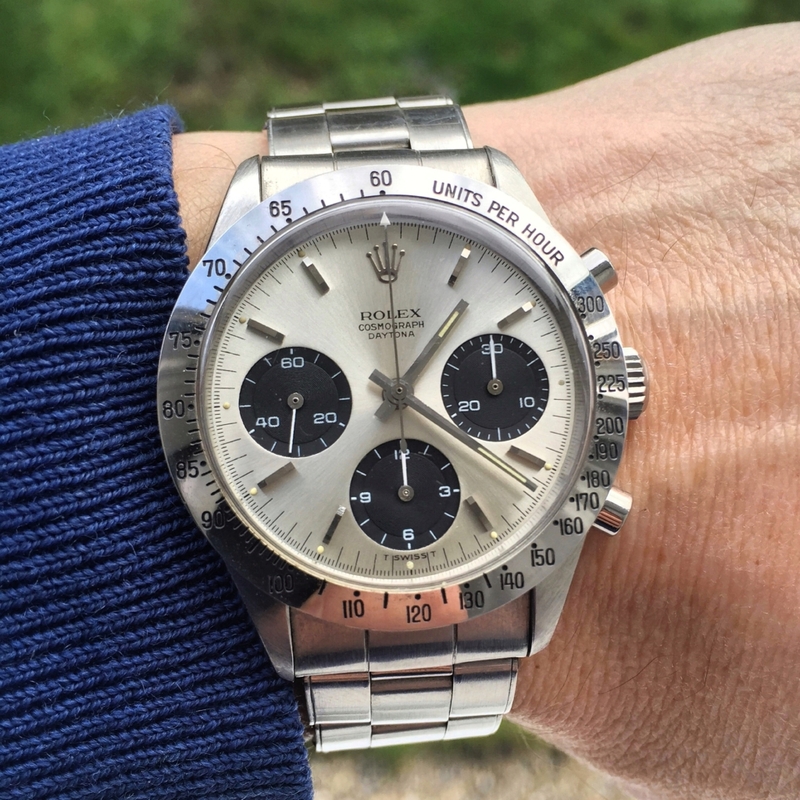 To narrow it down to 2 it would be a Rolex Daytona reference 6239 which is mint and with box, papers and original Daytona booklet. 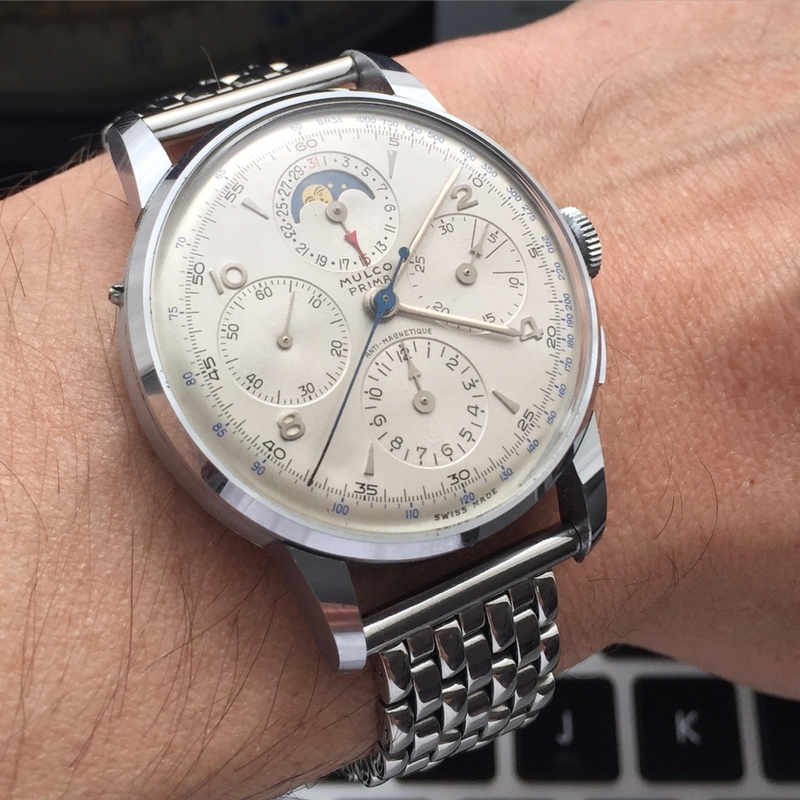 The other is an unusual watch my Mulco Prima which is a moon phase chronograph with calendar in steel. Dating from the 1950 and in new old stock condition I absolutely love it and just talking about it makes be want to wear it again. PM: I have a ‘thing’ for ‘World Time’ watches and if I could choose one watch it would be a rectangular World Time by Patek Philippe. Cased in pink gold and from around 1945. (There’s only one known!). PM: Watch collecting is often a matter of opportunity and when a certain watch comes up you can get captivated by it. I try not to let my ‘heart rule my head’. I always look to acquire a watch in the best condition, paying particular attention to its dial and its originality. I don’t necessarily go out hunting for a certain watch, sometimes a watch just ‘speaks’ to you, watch collecting is not a science; I try to keep it all very fluid and fun. 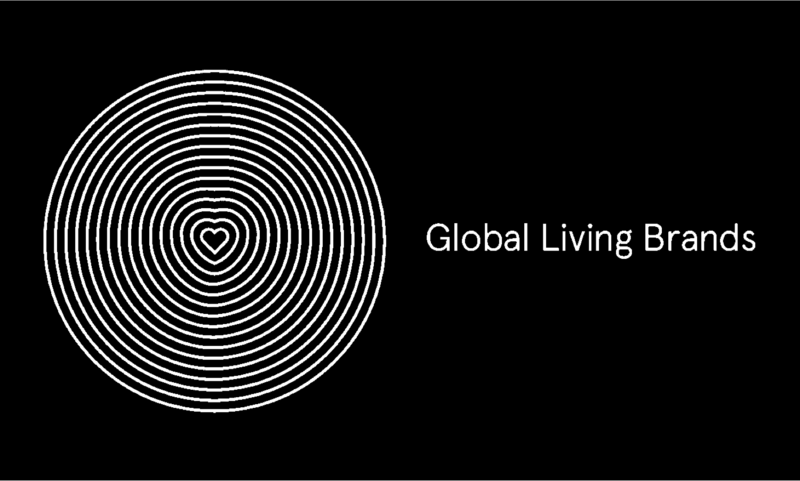 Paul Maudsley is the International Specialist, Director, Watches Department at Phillips. 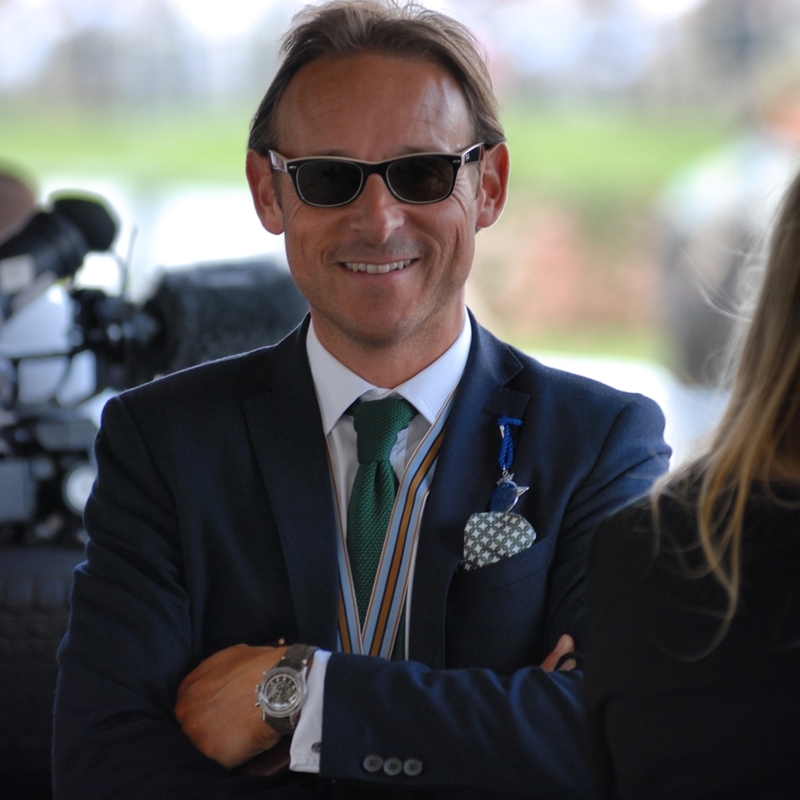 He has over 17-years of experience of watch auctions. 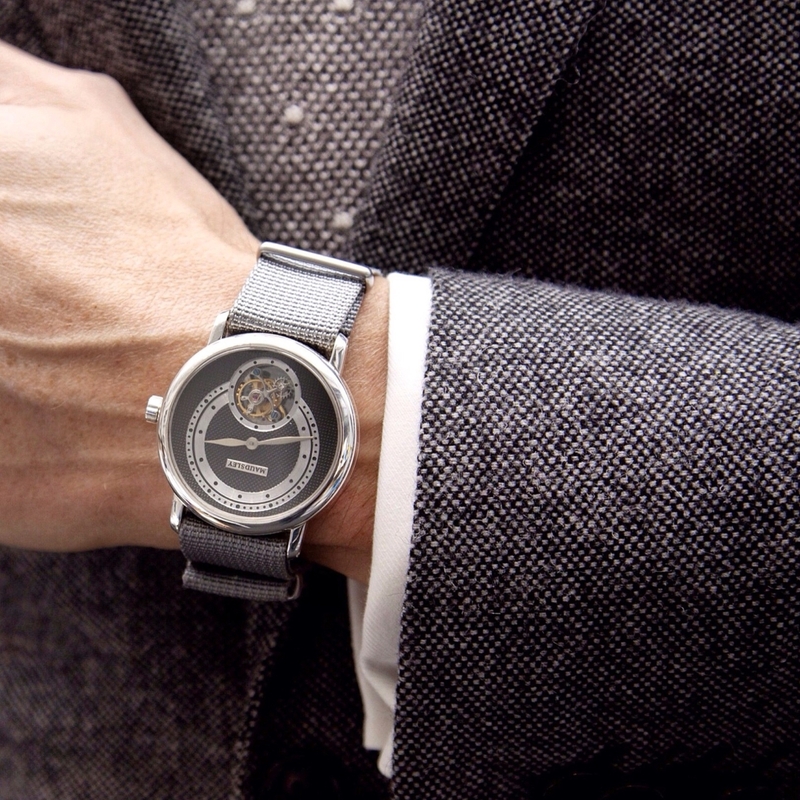 A an avid collector of watches from an early age, Paul has developed a love and broad knowledge of horology. Organising watch auctions in three continents, Paul has been responsible for sourcing some of the finest quality timepieces in the world. He is also a Friend of MrWatchMaster.